La'Shanda Devonne Blue, age 42 of 100 Scarlet Oak Lane Apt. K passed on Sunday, April 14, 2019 at her residence. 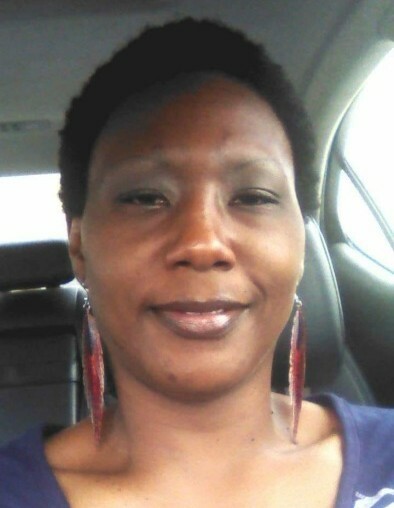 La’Shanda Devonne Blue, the daughter of the late Mollie Blue Duncan and Lonnie Pulley III, both of Sanford, N.C. was born on February 5, 1977 and departed this life on Sunday, April 14, 2019. She was preceded in death by her grandmothers, Queen E. Lindsay and Cleo M. Pulley, her grandfather, Bird Battle and her first cousin, Yanita Watson, who was like a sister. Shanda, as she was called, graduated from Lee County High School and continued her education with college courses over time. She was working at Mountaire Farms in Siler City, NC at the time of her passing. Shanda loved life, a good laugh, and was a strong woman who freely shared her thoughts and opinions. Shanda had the beauty that captured your attention upon entering a room with minimum effort. She was a dedicated mother and loved her children and grandchildren dearly. She had already started buying clothes and items for her unborn granddaughter. Shanda was strong willed and very determined, regardless of the matter. She was a warrior. She fought hard and conquered every obstacle set forth to deter her. Shanda would not hesitate to go to extreme measures, if necessary, to protect her children. The smile she carried represented hardships, discouragement and pain that she never allowed to hinder her performance of excelling. La’Shanda leaves to cherish her memories: three daughters, Kadesja, Infinity, and Eternity Farrow; one son, Namique Farrow; two grandchildren, Cassidy Patterson and NaMani Alston, all of Sanford, NC; a brother, Lonnie “Antion” Blue of Sanford, NC; two sisters Schronda Martin and Regina Hargett (John) both of Sanford, NC, a special first cousin whom she considered to be her brother, Michael Watson (Tamieka) of Siler City, NC; her grandfather, Lonnie Pulley II of Sanford, NC; aunts, Betty Bagley (Michael), Addie Quick, Patty Mae Petty, Dolinda Linton and Ginger Pulley of Sanford, NC, Ester Headen of Pittsboro, NC, Tracy Pulley of Raleigh, NC, and Wendy Kay Pulley of Miami, FL; Uncles, James Blue (Sandra) of California, Larry Pulley of Maury, NC, Ronnie Pulley and Randy Pulley (Gidget) of Sanford, NC and a host of relatives and friends.